For example, the German carmaker BMW operates its largest factory anywhere in the world in Spartanburg, S.C., buying about two-thirds of the steel it needs in the United States and importing the rest. BMW is also the largest exporter of cars made in the United States, with China being one of the main buyers, said Harald Krüger, the company’s chief executive. “None of this would be possible without free trade,” Mr. Krüger said at a news conference in Munich on Wednesday. The spate of exemptions for allies was the clearest indication yet that the sweeping tariffs were, in fact, aimed primarily at Beijing. In announcing the tariffs this month, the White House had said the measures were being taken to protect national security, which officials argued was being compromised by cheap metals flooding into the United States from abroad, degrading the American industrial base. But Mr. Trump made no secret that his main concern was China, singling out the country as a top offender in an effort to curb what he has called unfair trade practices. In particular, the president expressed concern that Chinese metals were coming into the United States through other countries, a process called “transshipping.” Administration officials say Chinese steel is often processed into a new product and then routed through another country before hitting American shores. 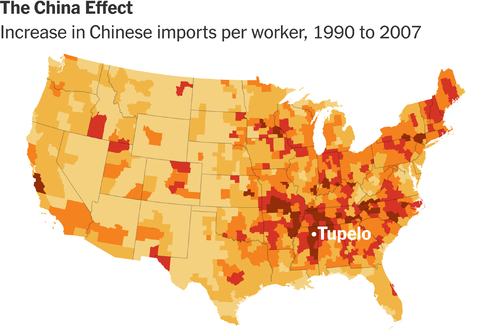 One reason the White House may not have just imposed tariffs on Chinese steel is that previous trade measures have already significantly reduced the amount of the metal coming directly from that country. The United States has imposed 24 trade remedies against steel from China, more than any other country, covering an estimated 90 percent of Chinese imports. Mr. Trump also plans to announce at least $50 billion worth of annual tariffs and other restrictions on China, targeting what the White House says is theft of technology and trade secrets. Mr. Lighthizer’s remarks on Thursday came after a visit to Washington by Cecilia Malmstrom, the European Union’s top trade official, during which she pushed for an exemption for the 28-nation bloc, the United States’ biggest trading partner. Steel and aluminum accounts for a relatively small percentage of trade between Europe and the United States. But there is widespread fear among European businesses that the tariffs would provoke a worsening trade conflict. There are already signs that the tensions have had an impact. A closely watched survey of business sentiment by the Ifo Institute in Munich, which was published on Thursday, showed that German managers had become less optimistic. The survey is “a strong signal that recent trade war threats are the main worry of German businesses,” Carsten Brzeski, an economist at ING, said of the report. European Union officials have already drawn up plans to retaliate against the United States by imposing reciprocal tariffs on a range of goods including pleasure boats, frozen corn and digital flight recorders. Often, the targeted goods come from places that voted heavily for Mr. Trump. Playing cards, which are on the list, are an example. The United States Playing Card Company, which supplies casinos around the world, is based in Erlanger, Ky., in a county that voted for Mr. Trump by a nearly 2-to-1 margin. The tariffs could also have unintended consequences. At least in the short term, they could drive down steel prices in Europe. Producers in countries like Brazil and South Korea would divert steel from the United States to other markets, increasing the supply. In theory, at least, lower prices would provide a cost advantage to companies in Europe compared with their American competitors. An earlier version of a picture caption with this article misidentified one of the senators speaking with Robert Lighthizer, the United States trade representative, on Thursday. It is Senator Debbie Stabenow, not Senator Lisa Murkowski.